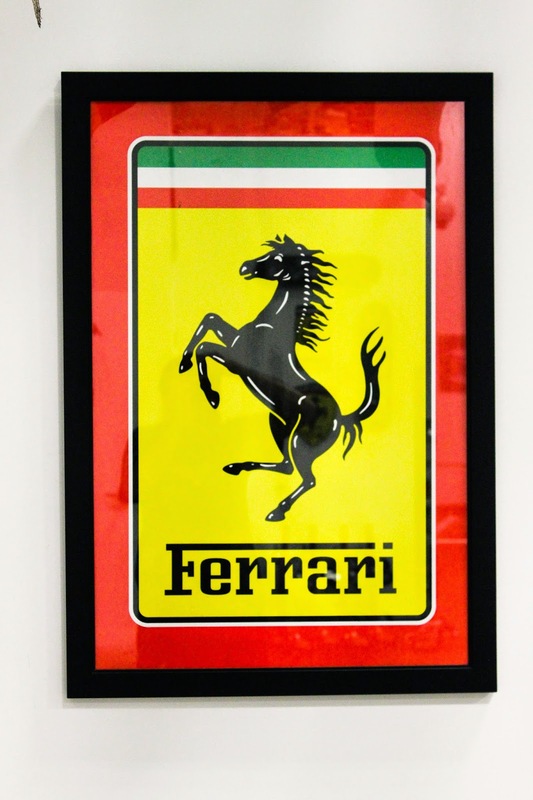 I'm hanging the Ferrari Banner out in hopes that Vettel may be able to pull off a win at Monaco! 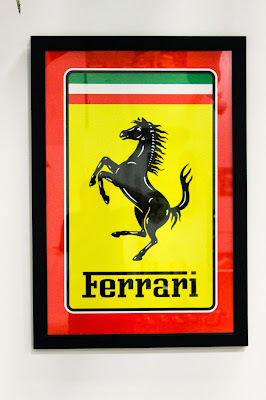 Get ready to watch the race at 7:30 AM, May 24th on NBC. 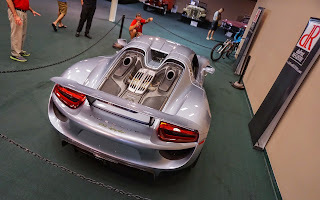 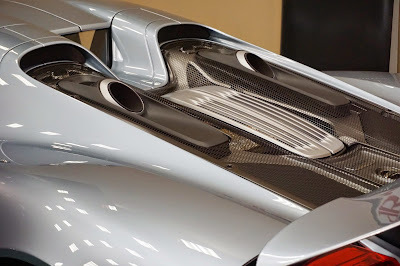 More Porsche HD video and a connection to Cars & Coffee in St Petersburg Florida. Today was another picture perfect day at du Pont Registry's Cars & Coffee, St. Petersburg, FL. 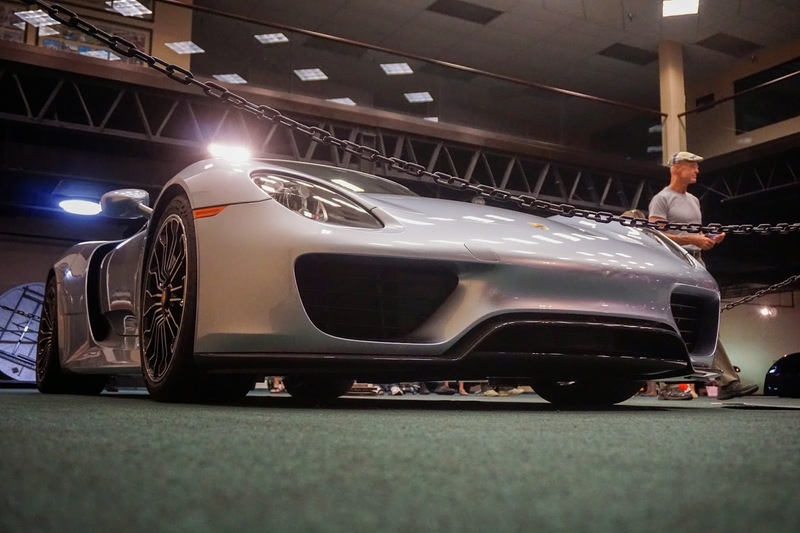 We had a special guest grace the showroom and it was a nice surprise for Porsche fans- a Porsche 918! 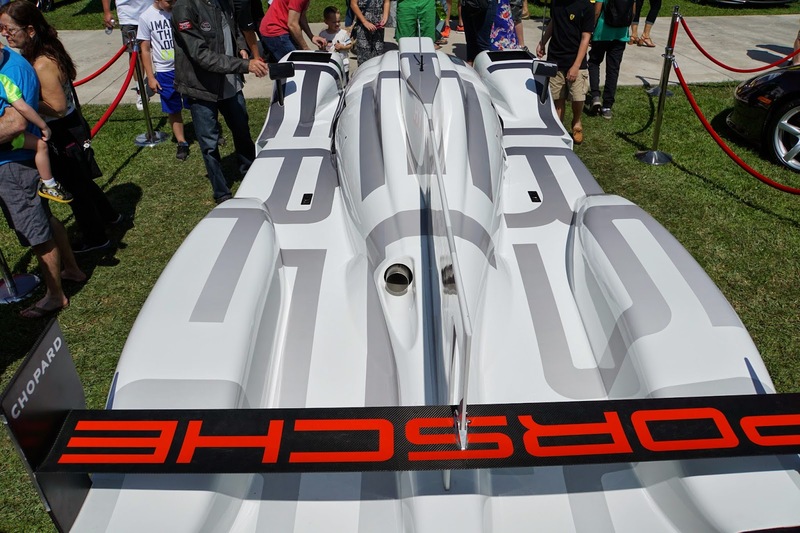 The video shows the related racing version, the 919. 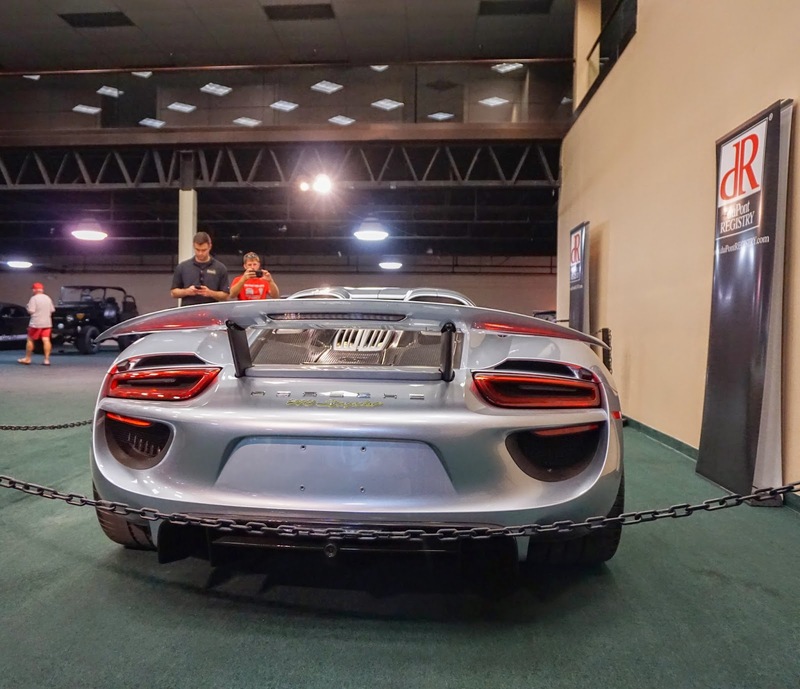 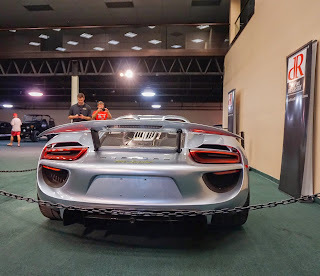 So far this year Tampa Bay area car enthusiasts have been able to see a Porsche 919 that appeared at Festivals of Speed in downtown St. Petersburg (as seen in my previous blog posts) and now a 918 shows up at Cars & Coffee. 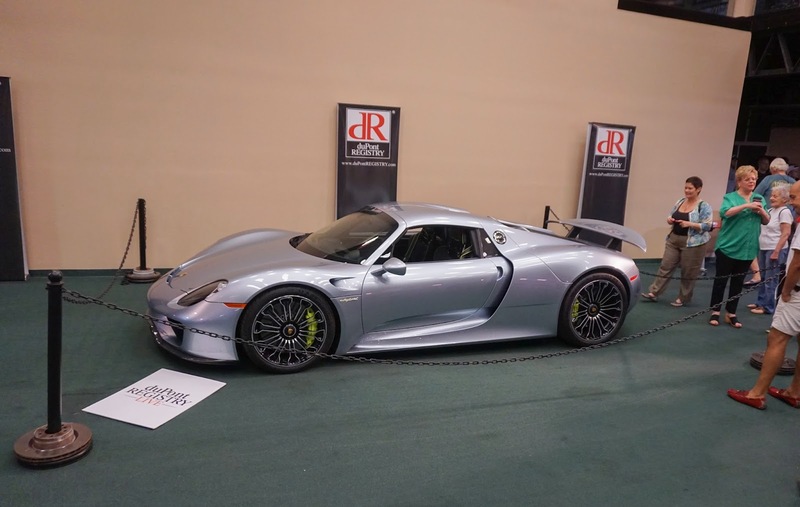 This is the one you can buy if you have a million dollar bank account. 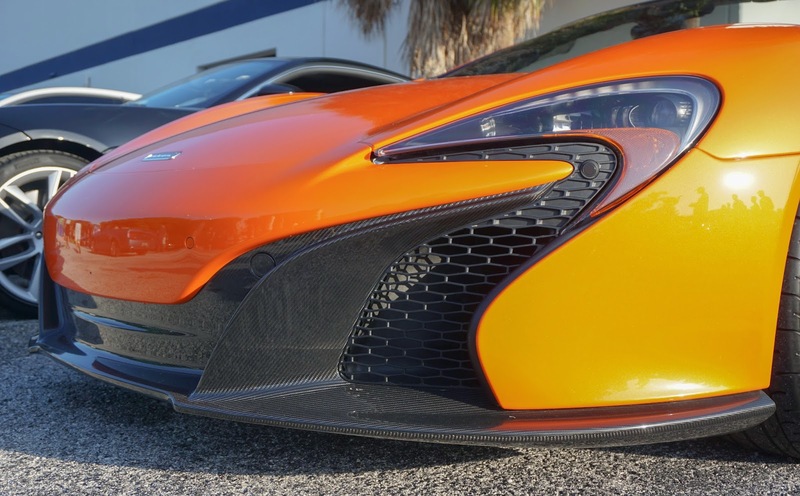 You don't have to travel the world to see some of the finest road going machines on the planet - you live in St. Petersburg, Florida! After returning home from the show I pulled up my emails linked to the Porsche marketing department and found a sensory experience created by an ad for the new Porsche 911 GT3 and a review of the WEC series. This rather well done video is linked below for your viewing. After seeing the videos, check out my gallery from the May 16th Cars & Coffee. 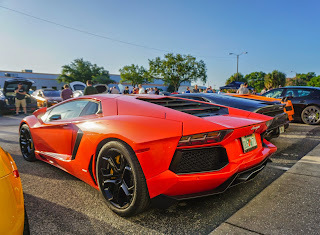 I especially liked the Skittles colored Lambos that were lined up in a row. Now that is car candy! 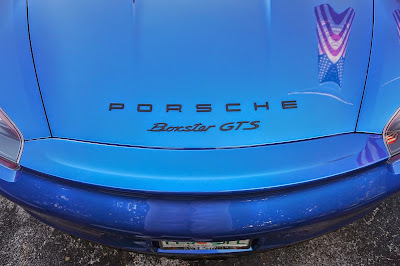 Love That Cars & Coffee!